Multicultural Hypnotherapy - Jakub Tencl, Ph.D.
Perhaps no one would expect that multiculturalism is something that can be linked to hypnotherapy, but to be able to understand what is hidden in the meaning we need to ask how hypnotherapy can be beneficial in searching for bridges between cultures. Let’s begin with how hypnosis works. As to locked potential that is created by conscious understanding we also have access to our subconsciousness where there is much more than we can imagine, therefore using interaction with subconsciousness to create fulfilment. It is possible to release most barriers in a state of conscious perceptive. Furthermore, metaphors used in suggestions for imagery can better connect the meaning that is an experience in our first language. It is no secret that visual perception of something difficult to express verbally can help to get a better connection with the current feelings. But this can be applied in talking therapies. 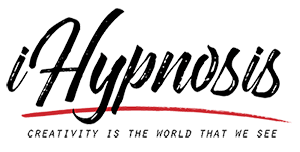 The advantage of hypnosis is that the connection with the subconscious can go far beyond meaning in occurring responses. Consciously we are able to control our responses, but we can also catch an unexpected feeling and here we can clarify that this feeling is given by subconsciousness - it's basically a suggestion from our belief system. This is not verbally expressed, so no language is used, just a feeling. Visual expression can be presented in more ways as we have different preferences in perception. Some of us are tightly connected with drawing while others are happy with indirect suggestions that give the option of choice to respond in visual context. And there are more approaches. If you wonder how it can be achieved, I say that the main goal is connection. Only when a deep connection (on the subconscious level) is established are we able to incorporate our core belief system that is underpinned by side factors in a tool such as language. Why is language so important in building the core belief system? Because it determines the way of thinking or gives a perception of time. And there is more. For instance, it sets up the body due to vibrational patterns. 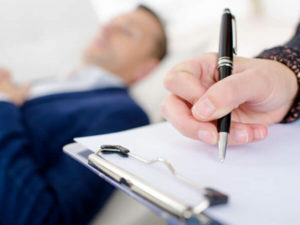 An experienced hypnotherapist should adjust the vocabulary to the client and use each word according to the client's understanding of its meaning. So it seems that hypnosis can create a bridge and bring the desired outcomes. As a bilingual hypnotherapist I have noticed clients’ experiences of therapeutic interventions and mostly the common denominator was misunderstanding of the real meaning and thus an emotional state. able to understand their meaning to the full. It is good to mention here that first language can trigger associative personal experiences much better.